In the Autumn Statement, the chancellor announced changes to the VAT Flat Rate scheme. From April 2017, HMRC will introduce a new category of trader, a ‘limited cost trader’, with a Flat Rate Scheme (FRS) percentage of 16.5%. A business within the FRS will have to consider for each VAT accounting period whether it is a limited cost trader. If it is a limited cost trader, the FRS percentage will be 16.5% regardless of the business sector. The measure will make the FRS less attractive for service businesses (consulting, IT). Anti-forestalling measures have been introduced to prevent businesses from reducing their post April 2017 turnover by issuing invoices early. 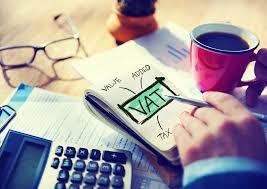 More than 2% of VAT inclusive turnover, but less than £1,000 per year. Food & drink for consumption by the Flat Rate business or its employees. Vehicles, vehicle parts and fuel, unless the business is one which supplies transport services such as a taxi business. HMRC promise an ‘Easy-to-use online tool’ to help businesses work out whether or not they are limited cost traders and should use the new rate of 16.5%.